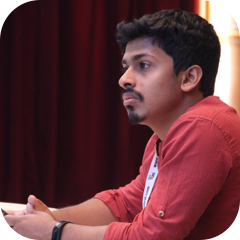 I’m Thomson Muriyadan and I work with startups, agencies and businesses to design clear, consistent and effective user experiences on digital platforms. This website is being redesigned to reflect my new interests and service offerings. In the meanwhile you learn more about me on LinkedIn and request my portfolio for reference. Currently accepting projects from March to June. Get in touch if you have an interesting challenge for me. Cheers!